Few professions were available to women in the second half of the 19th century and certainly not the medical profession. Although thwarted in her ambition to become a doctor, Mabel Osgood Wright made a name for herself as both a writer and a photographer. Mabel Osgood was born in 1859 in New York City to Samuel and Ellen Osgood (she married Osborne Wright in 1884). Though her father encouraged her education, he drew the line at medical school. It was while enjoying the family home, Mosswood, in Fairfield, Connecticut, that Mabel honed her skills of observation and learned to appreciate nature. She shared that appreciation through her books, including The Friendship of Nature (1894), Birdcraft (1895), and Flowers and Ferns in their Haunts (1901). She also believed that children in an increasingly urban society needed to learn about and appreciate nature, so she wrote educational stories for younger readers including Tommy-Anne and the Three Hearts (1896) and Wabeno the Magician (1899). She illustrated many of her books with her own photographs. Her writings also appeared in the magazine Bird-Lore, published by the Audubon Society. In addition to writing about nature, Mabel was actively involved in the early conservation movement. 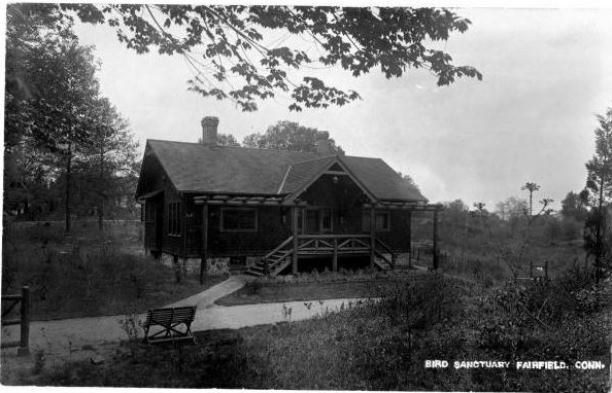 She founded the Connecticut Audubon Society in 1896 and sat on the advisory board of the National Commission. 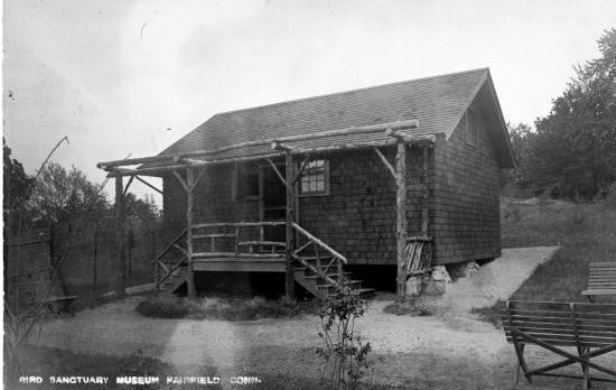 She also designed and constructed the Birdcraft Sanctuary at the Connecticut Audubon Society’s property in Fairfield in 1914. Although Mabel was unable to practice medicine, she found her calling through writing, photography, and activism. Her legacy lives on today in her writings and in the sanctuary that she founded. Barbara Austen is the Florence S. Marcy Crofut Archivist at the Connecticut Historical Society. “Connecticut Audubon Society,” 2017. Link. “Birdcraft Museum.” Connecticut Audubon Society, 2017. Link. Wright, Mabel Osgood. Birdcraft, a Field Book of Two Hundred Song, Game, and Water Birds. New York; London: Macmillan & Co., 1895. Link. Wright, Mabel Osgood. Flowers and Ferns in Their Haunts. New York, NY: The Macmillan Company, 1901. Link. Wright, Mabel Osgood. Tommy-Anne and the Three Hearts. New York: Macmillan, 1896. Link. Wright, Mabel Osgood. Wabeno the Magician: The Sequel to “Tommy-Anne and the Three Hearts.” New York; London: Macmillan Co. ; Macmillan & Co., 1899. Link.